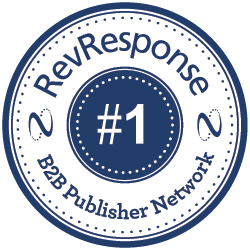 Thank You for Choosing RevResponse the #1 B2B Publisher Network! Publishers residing in the United States are required to submit W9 information. To make updates to this information in the future publishers are required to contact their Account Manager. Enter your Taxpayer Identification Number (TIN) in the appropriate box. The TIN provided must match the name given in the Name field to avoid backup withholding. For individuals, this is your social security number (SSN). For other entities, it is your employer identification number (EIN).For more details, click here. I am a U.S. citizen or other U.S. person (defined here). Certification Instructions: You must contact your account manager if you have been notified by the IRS that you are currently subject to backup withholding because you have failed to report all interest and dividends on your tax return. For mortgage interest paid, acquisition or abandonment of secured property, cancellation of debt, contributions to an individual retirement arrangement (IRA), and generally, payments other than interest and dividends, you are not required to sign the Certification, but you must provide your correct TIN. See the instructions here. Please verify and complete this section to receive payment. 1. All publishers paid via PayPal will be paid with the Mass Pay program. This ensures that publishers receive RevResponse payments without being charged by PayPal for their services. 2. If you select PayPal, please make sure that your PayPal account is set up to ensure you receive your payments. I agree to the terms and conditions of NetLine Corporation's RevResponse Publisher Program Agreement. 1. You are responsible for the details entered here. Please protect your username, password, and access to your account. 2. Once a publisher is approved, the publisher is responsible for entering full payment information in "My Account" before payments can be processed. © 2019 NetLine Corporation, All Rights Reserved.